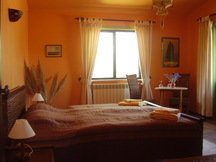 Pequeno Castelo, the Little Castle, offers you B&B in double rooms and self-catering apartments off the beaten track in the natural reserve of Ria Formosa. You will find us only ten minutes by car from the beach of Pedras d´el Rei and 4 miles from the town of Tavira and in walking distance of the village of Santo Estevão , where you will find restaurants, coffee shops, mini-markets, post-office, chemist and cash point. The Little Castle is situated on top of a hill in a secluded valley with views to the sea – far from mass-tourism and all-inclusive. 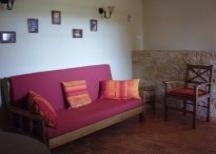 We offer two big double rooms (20 m2). 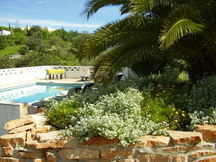 Both with access to a terrace with ample space with views to the swimming pool and the surrounding hills. Both rooms share a bathroom in the tower. Our well-furnished apartments (air-conditioned) comprise bedroom (big double bed and raised bed suitable for 1 - 2 children), shower room, living room with fully equipped kitchen and private terrace. 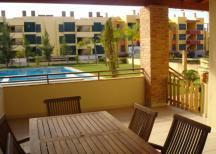 Our swimming pool is open to all our guests. Evening Meals available on request. 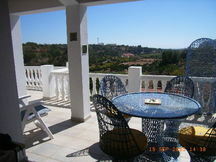 Algarve guest house rental accommodation. bsp;When you see the peaceful golf courses, you will not be able to resist the temptation to break the silence with a well-struck putt. The Algarve is regarded as the European finest destination for golfers and has recently been voted the most established region of the golf travel industry. The Eastern Algarve region boasts several championship courses, both at European and World level. Tavira has six 18-hole golf courses in a radius of 30 Km. All are reachable by a free highway. Benamor has an 18-hole par 71 course, 10 minutes away from Tavira. 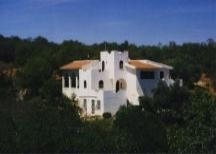 Quinta da Ria and Quinta de Cima (each) an 18 hole par 72 course, 10 minutes away from Tavira. Castro Marim an 18 hole par 71 course, 30 Km from Tavira. There are 2 Jack Nicklaus golf courses underway which are set to become 2 of the leading golf courses in the Algarve! Golf course Benamor: The first course to open to the east of Faro lies between the Tavira coast and the uplands of the Serra de Caldeirao. It offers views southward out to the ocean and north towards the hinterland of striking hills and fertile valleys. Golf course Quinta da Ria. 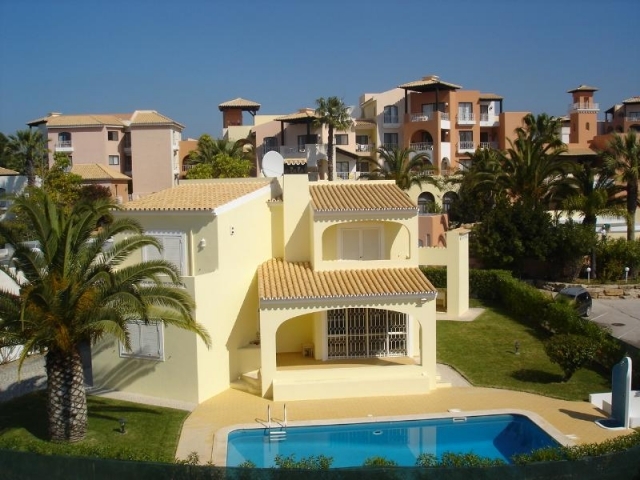 Golf course Quinta de Cima:is a championship-style course of great character. Running thematically through the stunning layout is a series of lakes connected by a stream which architect William 'Rocky' Roquemore has skilfully incorporated as an added challenge to players. Seniors School schedule. At the roundabout turn first road right in direction of Sao Braz / Santo Estevao. After about 1 mile you will reach the small village of Prego; turn left in direction of Santo Estevao. Cross the village of Santo Estevao and turn right at the cemetery crossing, in direction of Estiramantens. After some 400 yards you will find the first “O Pequeno Castelo” – sign to your right .Follow the signs for half a mile and you will have found us. 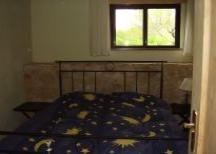 Please quote reference: a4m: 505 guest house "O Pequeno Castelo"